Women comprise fifteen out of the twenty-five people who received a MacArthur Foundation Fellowship with a $625,000 award. One of those is Livia Eberlin, an analytical chemist and an assistant professor of chemistry at the University of Texas. She won her grant for her work finding a possible cure for cancer. Each year, the MacArthur Fellows Program awards talented individuals who have shown extraordinary originality and dedication in their creative pursuits. As an investment to their potential, they awardees will also receive a $625,000 no strings attached stipend that will be distributed in quarterly installments for five years. One of the winners is Livia Eberlin who is studying how to identify cancerous tissue using chemical analysis. 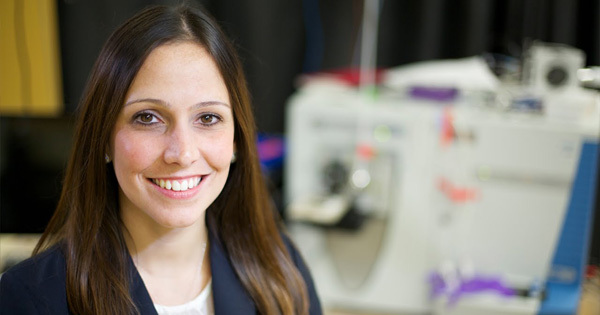 She and collaborators invented the MasSpec Pen, a device that can be used in surgery to rapidly and accurately diagnose cancerous tissue from healthy tissue. Aside from the recent recognition from MacArthur Foundation, she has already been listed by Forbes in its 30 Under 30 back in 2015. The award-winning MasSpec Pen also won at this year's South by Southwest Interactive Innovation Awards. "I feel extremely honored and humbled because this is a very special fellowship that recognizes people for their talent and creativity, not for a specific project or their past work," Eberlin said in a statement. "They trust your work has and will continue to impact society and I am so thankful for that." Other women who won at the MacArthur Fellows Program were Becca Heller, a human rights lawyer who helps refugees and immigrants, Sarah T. Stewart, a scientist who works on exploring how planets collide, and Dominique Morisseau, a playwright who focuses on social and economic issues. "Working in diverse fields, from the arts and sciences to public health and civil liberties, these 25 MacArthur Fellows are solving long-standing scientific and mathematical problems, pushing art forms into new and emerging territories, and addressing the urgent needs of under-resourced communities. Their exceptional creativity inspires hope in us all," said Cecilia Conrad, managing director of the MacArthur Fellows Program. For more details about MacArthur Fellows Program, visit www.macfound.org/programs/fellows or Eberlin's work at eberlin.cm.utexas.edu and www.masspecpen.com.